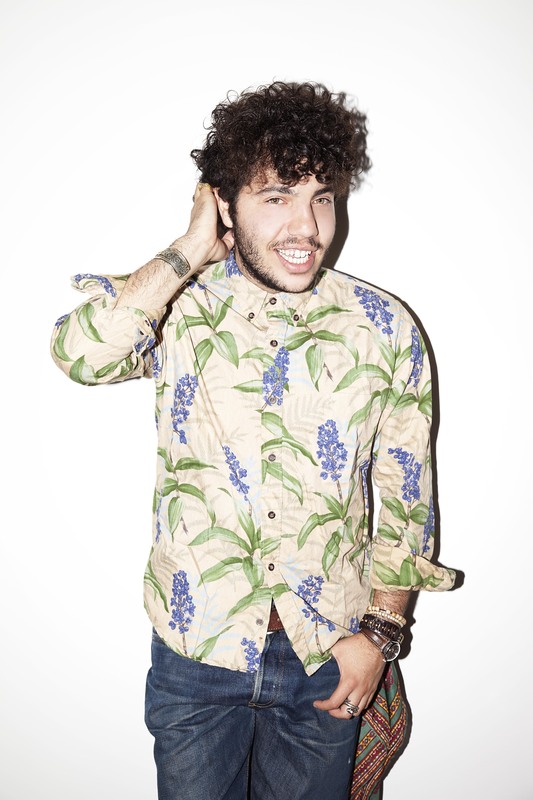 You may not know Benny Blanco's name, yet you've heard his hits: In the past two years alone, the 24-year-old writer/producer lent his music mojo to chart toppers such as Rihanna's "Diamonds," Maroon 5's "Moves Like Jagger" and Katy Perry's "California Gurls," to name a few. Blanco, who was named Songwriter of the Year at the 2012 BMI Pop Awards, digs hanging in the studio with stars like Nicky Minaj and Pitbull, but he likes it just as much when his famous friends accompany him to sing for children in hospitals as part of the Get Well Soon Tour, a charity he co-founded. Benny Blanco. Photo credit: Justin Hogan. Courtesy of Press Here. "I wanted to do something that wasn't like a regular charity," he says. "We don't do fundraising, we just try to make things easier for the kids." The "tour," which includes visits to world-class facilities like Mattel Children's Hospital at UCLA, Miami Children's Hospital, Johns Hopkins Children's Center and others, brings sick and terminally ill children up-close with some of music's biggest names (Justin Bieber, John Legend, Bruno Mars). The visiting artists talk with, sing and jam with the kids. Blanco was inspired by his cousin, who is an oncologist, to put the Get Well Soon Tour together. As a musician, Blanco says he wants to share music's ability to create healing. "Music touches people," he says. "It's very therapeutic. When someone [sings or plays music] with you, it's a bond you can't get any other way." 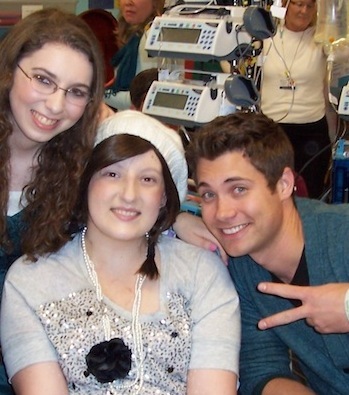 Likewise, singer Drew Seeley had no idea how much he'd bond with one young patient at Johns Hopkins Children's Center when he signed on as ambassador for an innovative foundation called Music is Medicine. The organization, co-founded by Princeton University junior Leora Friedman, 20, and her sister Ariela, 25, aims to not only engage musicians in service-related projects, but pairs performers with specific kids for whom they write an original song. Friedman says the concept was borne out of a summer she and her sister "spent singing and writing songs for kids at their local children's center," later compiling and producing an album of their work for the families. When Friedman approached Seeley, 30, he was all-in for cheering up a teen with bone cancer. "When I met [patient] Brooke Shockley on Skype and talked about what she was into and what she wanted to say, the song 'Fly' just sort of fell out of me," says Seeley, best known for writing and performing songs in Disney's High School Musical franchise as well as for the film Another Cinderella Story. "I was so inspired by this girl I'd just met, that I felt supercharged to finish something immediately." After Seeley penned the song, he surprised Shockley with a visit and performance at Johns Hopkins Children's Center. "Drew came and sang in the hospital playroom with video cameras surrounding him, he looked directly into Brooke's eyes and sang the words he wrote just for her," Friedman says. "The music transcended the song itself and became a symbol of the way Brooke had inspired him. It was a magical moment." Leora Friedman, Brooke Shockley, and Drew Seeley. Photo credit: L. Friedman. Photo courtesy of Music is Medicine. Tragically, Shockley passed away in August, but the impact her spirit left on Friedman, Seeley, and thousands of people who heard the song "Fly" and were inspired by her valiance are all testaments to the power of music to bring people together. "It takes incredible strength to deal with illness, and everything that comes along with it," Seeley says. "Music, at times, has the capacity to make one's battle more bearable." "[Brooke] stole the hearts of people around the world, raised awareness about pediatric cancer, and fundraised for a cure," Friedman says. "We want to help more artists and more patients to do the same." Stay tuned! Singer Savannah Outen is the current Donate a Song participant for Music is Medicine. To learn more, donate a song, start a chapter or register an event, click here. For more information about the Get Well Soon Tour, click here.